Generally speaking, toy kitchens can’t be well hidden due to their size – and nothing sticks out more in your living room than a miniature hot pink kitchen in the corner. 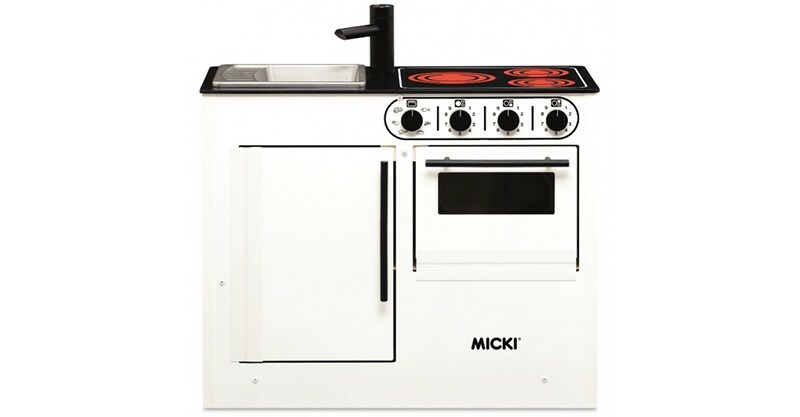 For a perfect toy kitchen that blends style with function, look to Micki. With such decor aesthetics in mind, it’s with great pleasure the days of carefully styled home hubs will no longer be marred by a hot pink or pastel coloured elephant. Nope, we give you a styling dream – the Micki Bistro Mini Kitchen in all of its monochrome glory. Even the pretend tapware is magnificent. Standing at 51cmx62cm, the Micki Bistro Mini Kitchen is just the right fit for tots. The wooden cook top begs for pots and pans and mini Masterchefs can get busy cleaning up in the plastic sink. 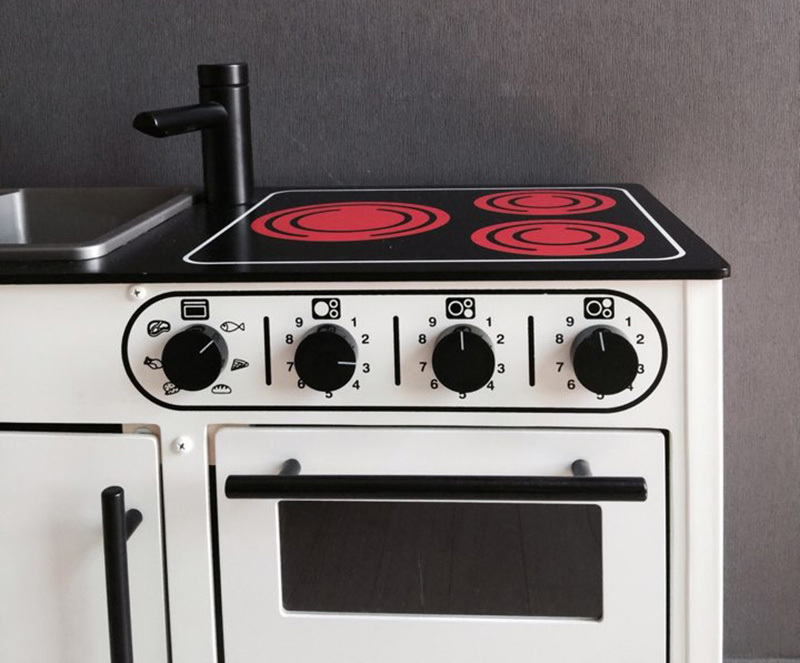 Clicking oven knobs add to the authenticity, as do the fully functioning doors of the oven and cabinet. The Micki Bistro Mini Kitchen is priced $199 and available locally at Leo & Bella.